Many people like cute and humorous ads. Now Ikea is taking its furniture advertising to a higher level of cuteness. The new campaign deals with Ikea pet furniture. Yes pet furniture. “Not content with having conquered the market for human furniture over the past 30 years, Ikea is now turning its attention to the animal world. 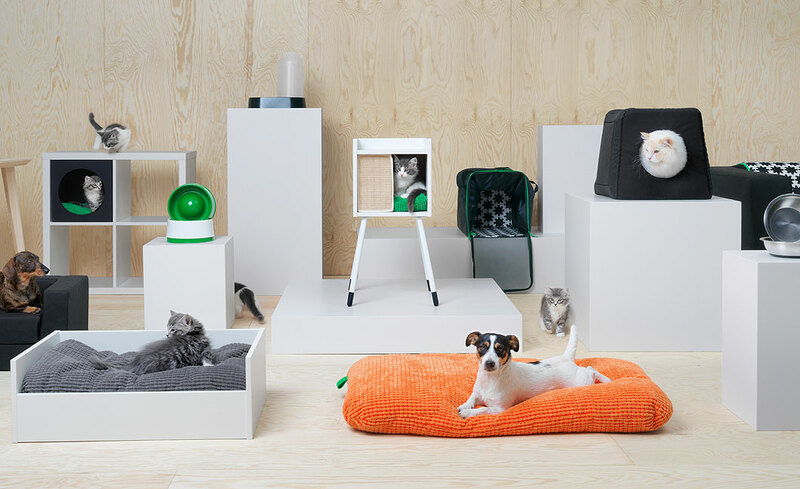 The Swedish retailer has unveiled its first line of furniture for pets. Its LURVIG line (meaning “hairy” in Swedish) includes cat and dog beds and houses for them to curl up in, as well as accessories like scratch mats, feeding bowls and litter trays. There are also some scaled down versions of some of its favorite items, like a mini play tunnel for cats or a mini version of the Kilppan sofa. And some items ingeniously fit with the Ikea furniture you already have: like cozy inserts for Kallax shelving that are designed for animals to squeeze into. Like all Ikea stuff, it’s reasonably priced: a cat house on legs, for instance, is $54.98. These videos are divided into four categories. (1) The basic premise of Ikea’s pet furniture. (2) Furniture for dog lovers. (3) Furniture for cat lovers. (4) Behind the scenes in the making of Ikea pet Videos. There are EIGHT videos in all. Enjoy! This entry was posted in Global Retailing, Part 2: Ownership, Strategy Mix, Online, Nontraditional, Part 3: Targeting Customers and Gathering Information, Part 6: Merchandise Management and Pricing, Part 7: Communicating with the Customer, Social Media and Retailing and tagged cats, dogs, Ikea, pet furniture, videos. Bookmark the permalink.